Can you make AP® level instruction accessible to all students? YES you can! MyLiteratureLab is the only online resource that provides students with variety of ways to approach literature while fostering a deeper understanding and application of critical thinking, reading and writing skills. Through direct instruction, multimedia activities, exercises, and an interactive composing space, MyLiteratureLab offers a comprehensive and dynamic environment to help students achieve AP® success. 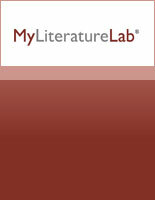 *Six-year access to MyLiteratureLab is included with select AP® Literature titles and available for purchase as a stand-alone resource for use with any Literature program. Visit pearsonschool.com/myenglishlabs to see the full line of digital solutions for the Language Arts classroom and to request free teacher preview access.